Obesity is a significant risk factor for major diseases including Type II diabetes, coronary heart disease, hypertension and certain forms of cancer (Barsh et al., 2000; Kopelman, 2000; Luchsinger, 2006). Obesity arises when energy intake, principally stored as triglycerides, exceeds energy expenditure (Flier, 2004; Spiegelman and Flier, 2001). Obesity is a complex trait influenced by diet, developmental stage, age, physical activity and genes (Brockmann and Bevova, 2002; Friedman, 2003). There is convincing experimental evidence showing that the balance between energy intake (food consumption) and energy expenditure (basal metabolic rate, i.e. biochemical processes required to maintain cellular viability, physical activity and adaptive thermogenesis) is tightly regulated. A homeostatic network maintains energy stores through a complex interplay between the feeding regulatory centers in the central nervous system (CNS), particularly in the hypothalamus and the regulated storage and mobilization of fat stores. 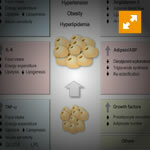 Thus, genes that encode the molecular components of this system may underlie obesity and related disorders. In mammals, white adipose tissue functions as the main depot for fuel storage. In the past decade, identification of myriad lipid and protein signals secreted from this tissue has led to its recognition as a major endocrine organ (Rondinone, 2006; Trayhurn and Bing, 2006). 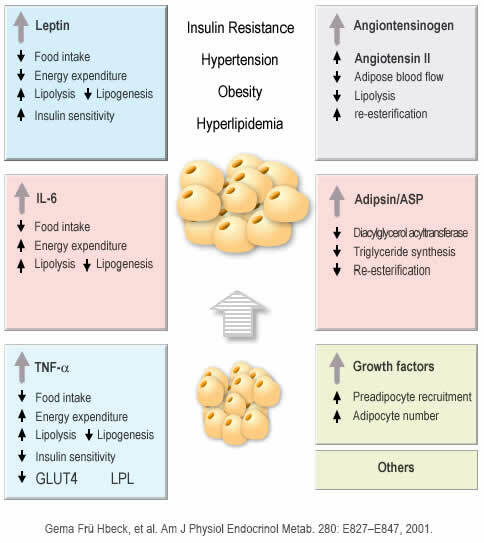 This was principally based on the discovery of leptin, a cytokine-like hormone secreted from white adipose tissue in proportion to fat mass (Friedman and Halaas, 1998). Activation of hypothalamic leptin receptors suppresses food intake and promotes energy expenditure pathways (Friedman, 2002; Porte et al., 2002). Insulin is another key afferent signal to the CNS that controls energy balance. Insulin is secreted from the endocrine pancreas in proportion to fat mass and exerts potent effects on peripheral nutrient storage. 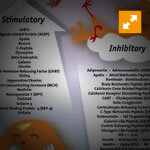 Similar to leptin, insulin causes long-term inhibitory effects on energy intake. There is cross talk between insulin and leptin signaling in a common set of hypothalamic neurons. 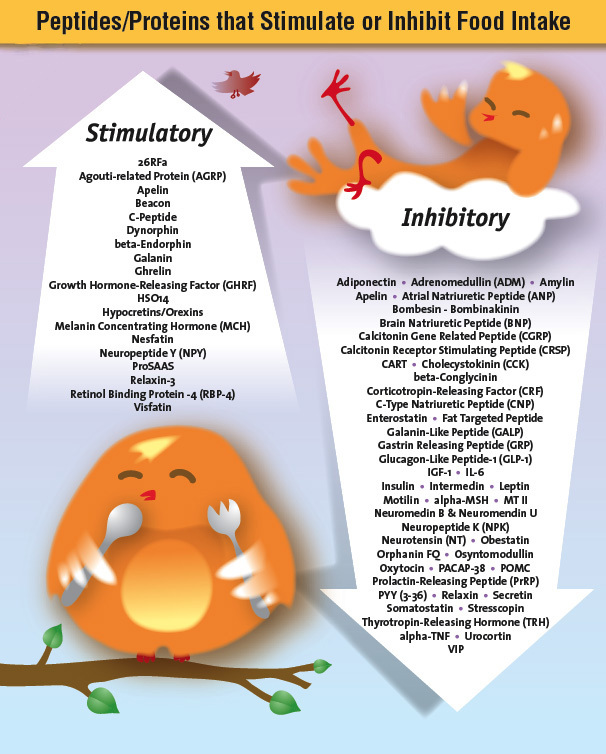 Moreover, a series of neuropeptides (e.g., the melanocortin system, neuropeptide Y) and neurotransmitters (e.g., serotonin, dopamine and noradrenaline) function in the hypothalamus to coordinate behavioral, physiological and metabolic responses. Together, these responses maintain energy balance via both intake and expenditure pathways (Cone, 2005; Porte et al., 2002; Sainsbury et al., 2002). In addition to these long-term adiposity signals, short-term meal-related signals are transmitted to the CNS through afferent nerves or gut-secreted peptides (e.g., cholecystokinin, ghrelin; Badman and Flier, 2005). Finally, neurons in the CNS also directly sense carbohydrate and fats (Demuro and Obici, 2006; Lam et al., 2005).